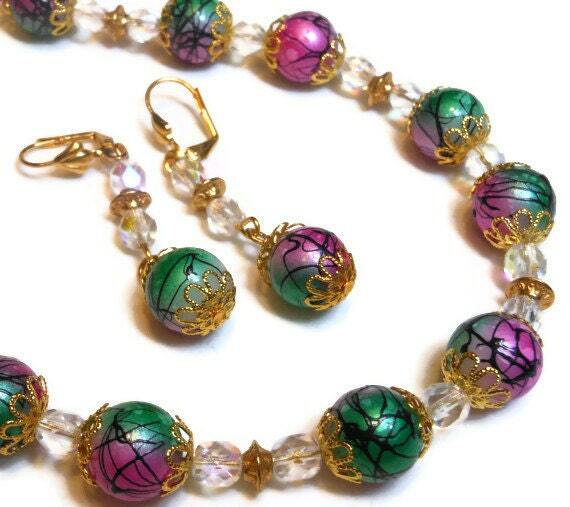 Necklace and earring set, handmade painted glass beads with Czech fire polished AB crystal and gold plate findings hand made. 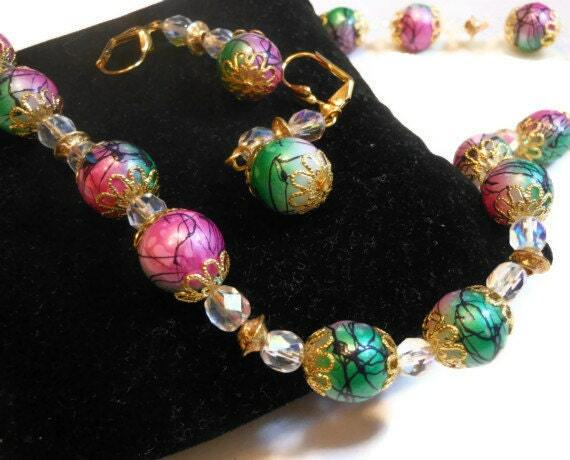 Bold and patterns are trending now and so can you be with this set! Touches of gold filigree end-caps and gold spacers add extra richness to the look. 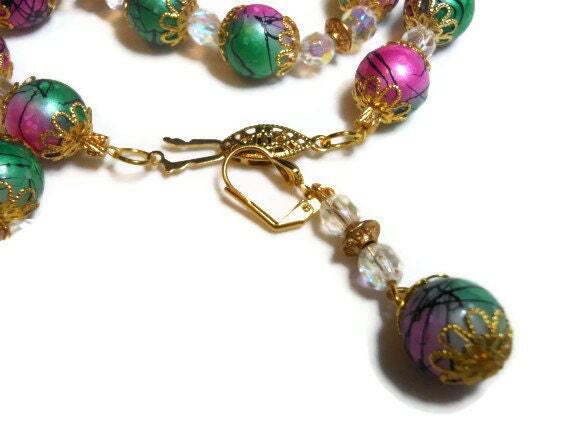 Sparkle and shine through the day or night with these colorful, gorgeous beads! 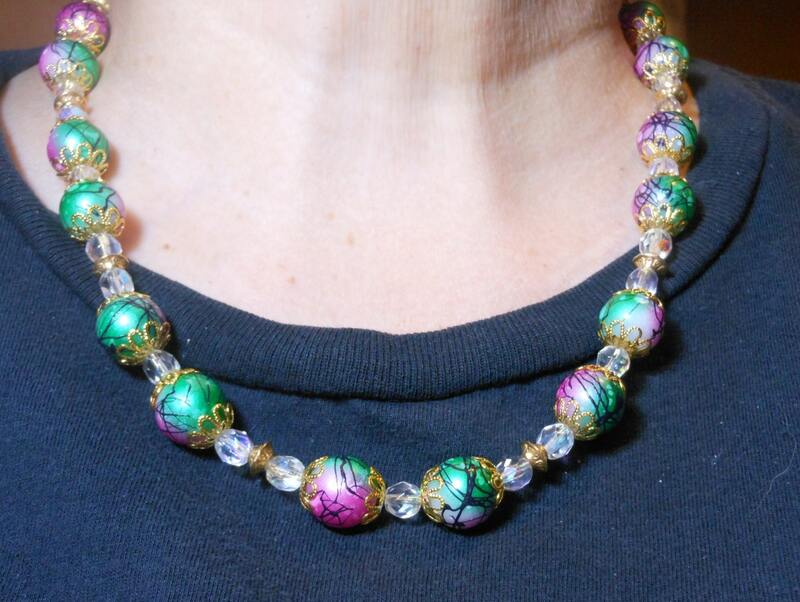 The necklace measures 18" (39 cm) without clasp and the earrings have a 1 1/2" (3.8 cm).